Vitality Health CBD is Canada’s very first farm to consumer producer of premium quality CBD extracts, CBD isolates and CBD enriched natural health products. Vitality Health CBD offers a comprehensive wholesale CBD and private label CBD (white label) pricing program on raw CBD crude (50-65%), refined CBD crude (65-80%), CBD distillate (85-95%) and pure CBD isolate (99%). 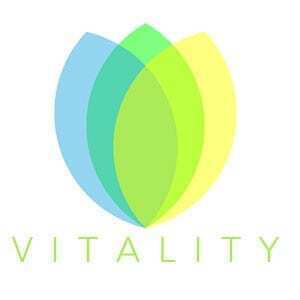 In addition to our bulk wholesale cbd extracts program, Vitality CBD also offers our exclusive “Enhanced By Vitality™” private label CBD program for those looking for a comprehensive turn key white label CBD branding solution. Our exclusive Enhanced By Vitality™ private label CBD program allows you to put your brand on any Vitality Health CBD™ product and start your own CBD business backed by the quality assurance and keen innovations of your partners at Vitality Health CBD! To learn more about how Vitality Health CBD’s wholesale CBD and white label CBD programs can launch or benefit your brand of CBD products please fill out the wholesale cbd account application form below and one of our CBD specialists will be in touch with you shortly. If you already have an approved wholesale CBD account you may LOGIN HERE.